The first time we were invited to join some mallorquín neighbours at their farm for a Sant Antoni celebration, I spent some time planning what we should take as a contribution to the communal supper. I settled on a dessert – a classic tarte tatin – and was both surprised and delighted when it turned out to look like the best one I’d ever baked. When we arrived at the farm that chilly January evening in our early time of living on rural Mallorca, I added our contribution to the long table, which was covered with platters brought by other guests. I gave myself a mental pat on the back for originality when I noticed that my tarte tatin was the only dessert that wasn’t a Mallorcan ensaïmada. Later that evening, when most platters were left with only ensaïmada crumbs, and my tarte tatin was barely touched (except by The Boss), it dawned on me that it was the tradition to end a celebratory meal with ensaïmada. We were there again this year, but without a tarte tatin. 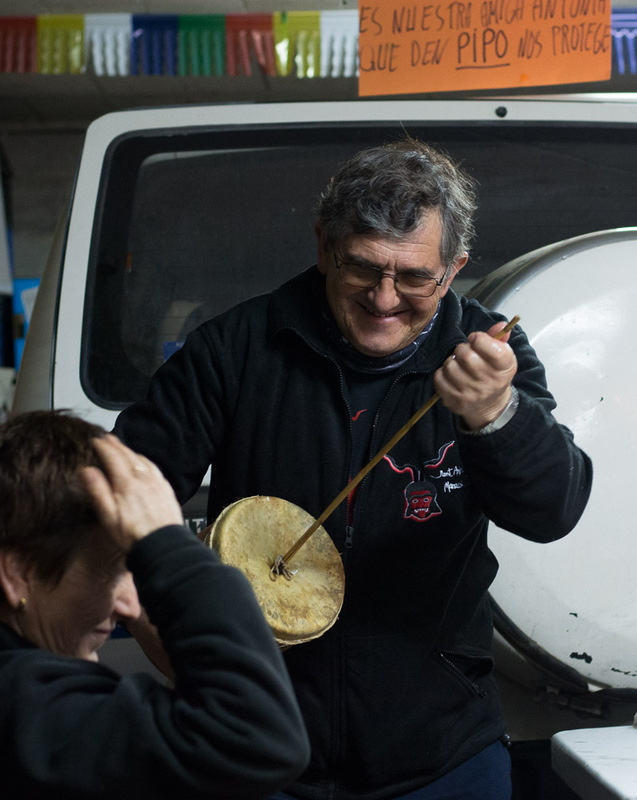 As usual, the feasting was done at a row of long plastic white tables and chairs set up in the farm’s spacious garage/storage room, decorated with handwritten Sant Antoni-related messages. We shared this space with a couple of cars, and a large flat-screen TV that had been brought out so that guests – who also included a couple of Germans, another English couple, an Israeli and his South African wife, and a dozen or so Mallorcans – could keep an eye on the IB3 TV coverage of Sant Antoni events in Manacor. I don’t think anyone really paid the broadcast any attention: we were having too much fun of our own! After a very traditional Sant Antoni feast, a couple of bottles of home-made hierbas (the local herb liqueur) was passed around the table, and it was time for a sing-song and the playing of the ximbomba – an essential musical instrument for Sant Antoni celebrations, which looks a bit like a drum with a stick through the top of it. The playing method is rather suggestive – using a wetted hand to rub up and down the cane stuck into the drum part – and the resulting sound is the sort of farty noise that would have small English children giggling with delight. 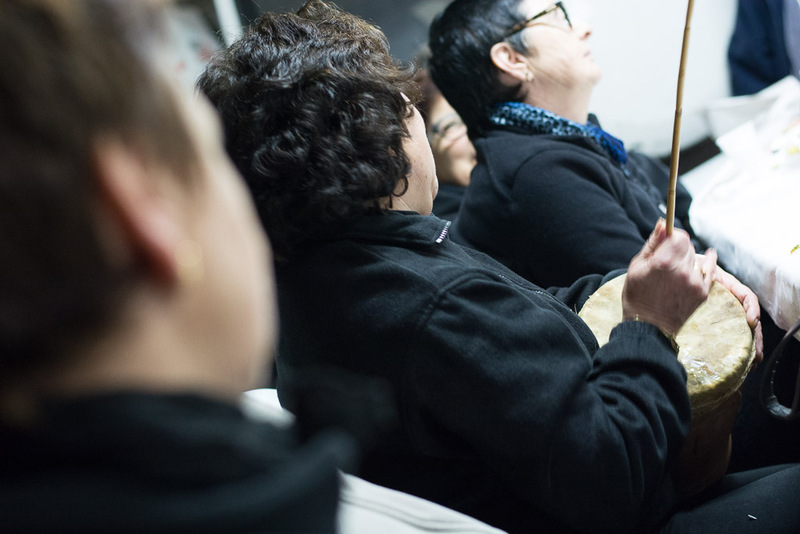 Several guests had a turn with the ximbomba – which isn’t as easy to play as its simple appearance may suggest. Every effort produced gales of laughter around the table – and prompted another toast with hierbas to the saint whose life we were celebrating. There would be sore heads in the morning . . .
Visca Sant Antoni! Long life Sant Antoni! I remember January in the UK as a rather dull month, after the Christmas and New Year festivities. It’s all a bit different, since we came to live in rural Mallorca . 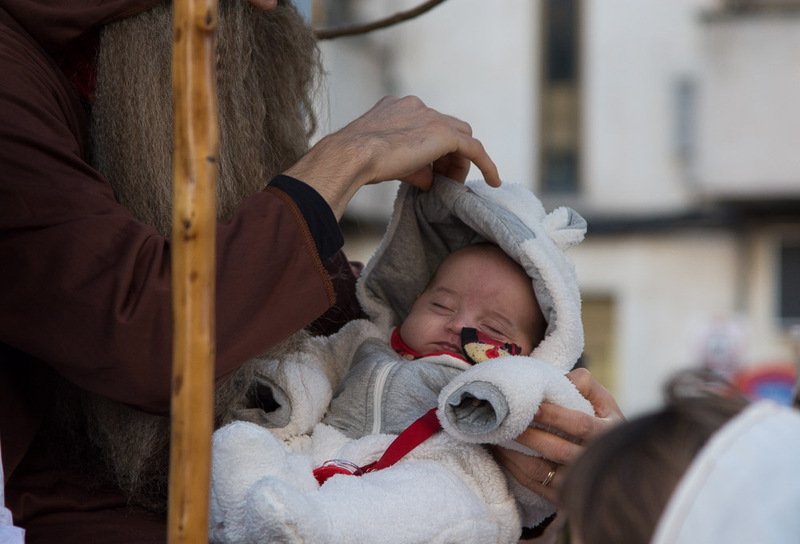 . .
For a start, the Spanish celebrate the arrival of The Three Kings – who bring gifts to children on the night of January 5th (the 6th – the Christian festival of Epiphany – is a public holiday here). By the time the gift wrapping is in the local paper recycling bin the Mallorcans are already gearing up for the Sant Antoni Abad fiestas, celebrated on January 16th and 17th (the Saint’s day). Antoni was not a Mallorcan, but an Egyptian monk who lived in the desert. The Devil – disguised as a woman – visited him there and tried to tempt him with ‘her’ charms. Antoni’s way of resisting temptation? He walked across some burning embers to suppress his lustful thoughts. That would do it . . .
A few centuries ago, when rye crops in the agricultural area around Sa Pobla were decimated by a poisonous fungus, the islanders remembered Sant Antoni and the power of fire to overcome evil spirits. Believing that these spirits were to blame for the loss of their crops, they lit bonfires to ward them off. The bonfires continue in the 21st century, as part of the fiestas to celebrate the Saint’s day (January 17th). 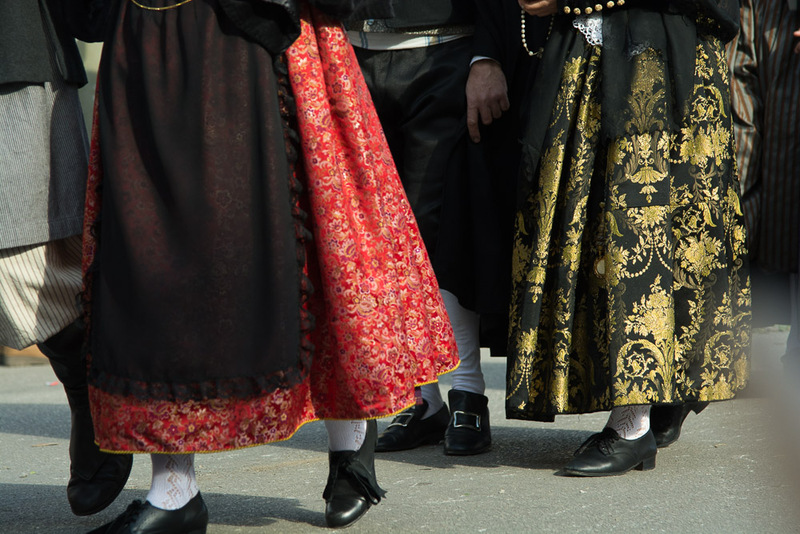 These are fiestas for the towns and villages with a rural heritage, and our nearest town, Manacor, is one of several places on Mallorca that really make the most of this fiesta. 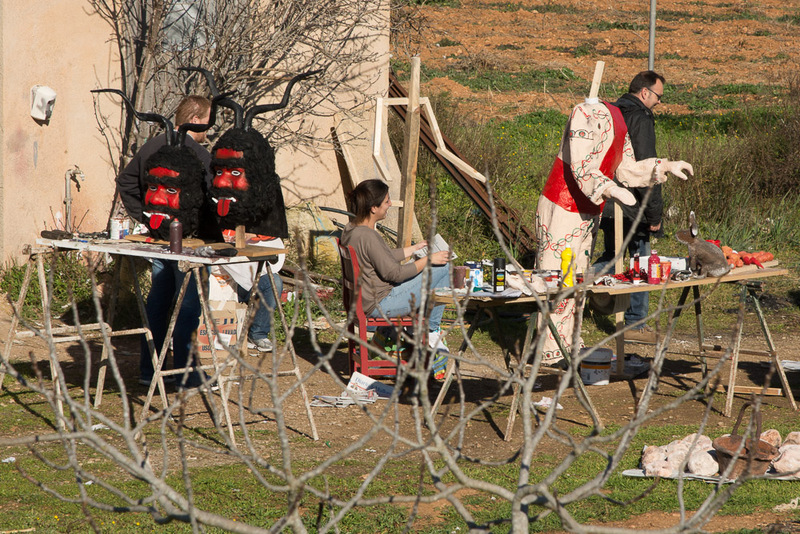 On a country walk recently we spotted some people preparing for Sant Antoni. The main event is on the evening of the 16th, when bonfires are lit and effigies of the Devil are burned. 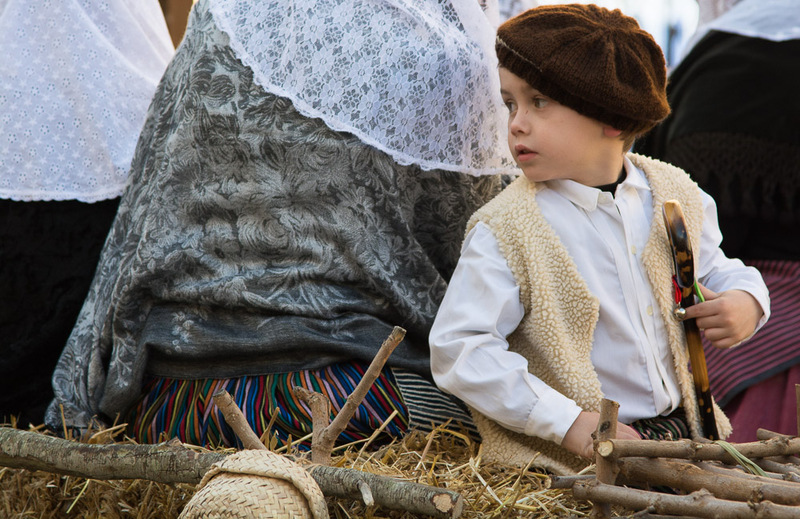 Locals indulge in torrades, cooking botifarrons and other types of sausage over fires, and local brews such as hierbas – the famous Mallorcan herb liqueur. There’s music, traditional Mallorcan dancing (ball de bot), and it’s all very jolly. 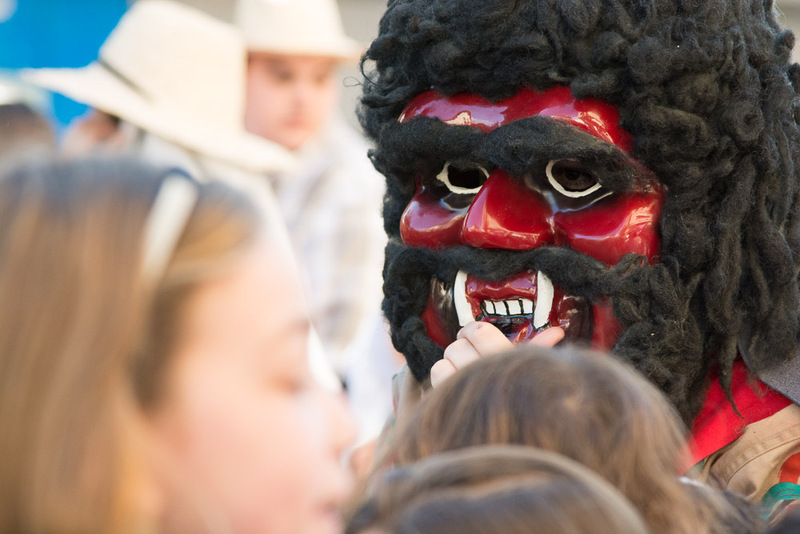 Many Mallorcans have told us that this is their favourite fiesta of the year. 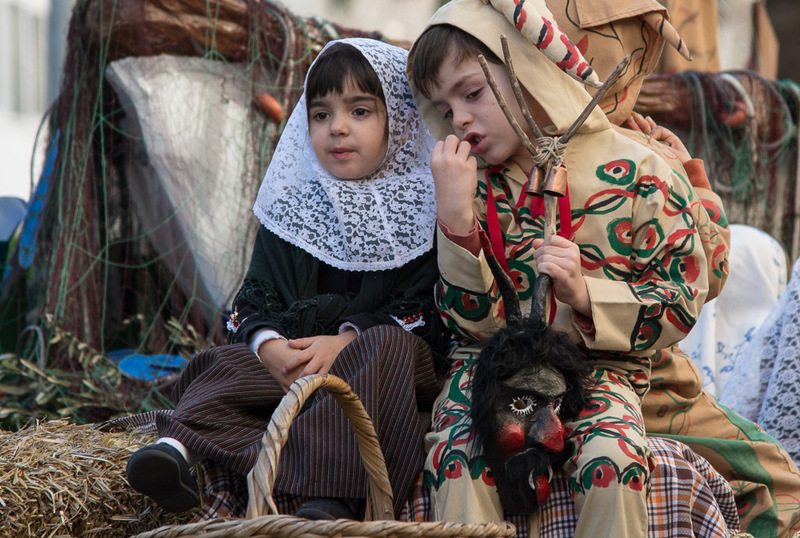 Manacor council has published a 24-page brochure (in mallorquín) for the Sant Antoni 2015 festivities, also available online at http://www.manacor.org. It’s a lavish affair, detailing the programme of Sant Antoni-related events (which started on January 9th and end on 17th). 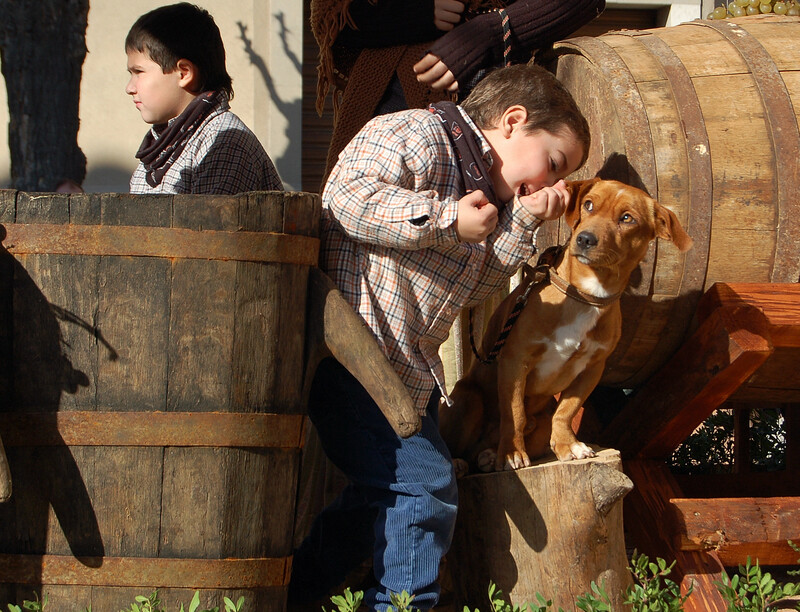 Oh, and for those who like a sing-song, the words of the traditional Sant Antoni songs are helpfully included. There’s a competitive element to the fiesta too, with monetary prizes for the best bonfires, floats, costumes, and more. The programme shows the route of the procession of floats, bands, dignatories, and demonis (devils) on Friday 16th, starting at 7pm. At 8pm the first bonfire is traditionally lit outside the Rectory in the town centre – and after that all the other bonfires can be lit. At 10.30pm, there’s dancing in the Plaça de Ramon Llull. It’s a long night, but with an early start next morning for many . 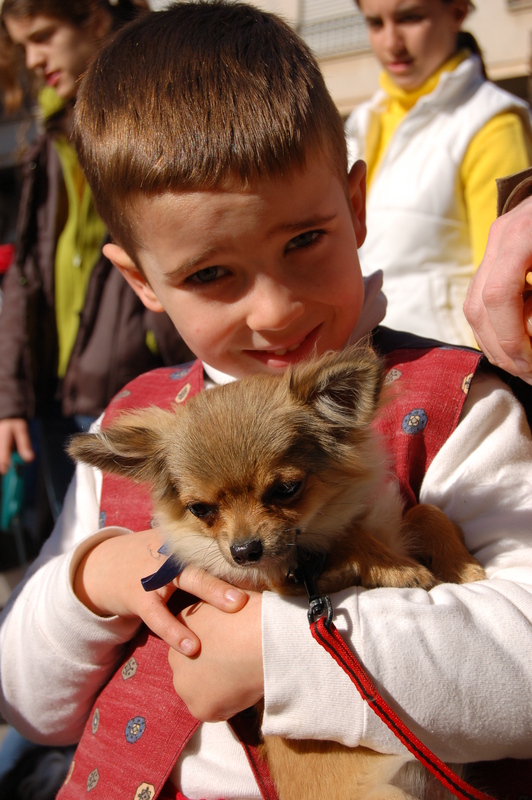 . .
On January 17th – the feast of Sant Antoni Abad (the patron saint of animals) – locals bring their pets and animals to be blessed by the local priest. It’s a colourful and often cute procession of humans and animals, walking, riding on horseback, or on floats. In Manacor, the procession assembles at 9.30am, for the 10.30am parade. (Times, and even the day, may vary in different towns and villages). 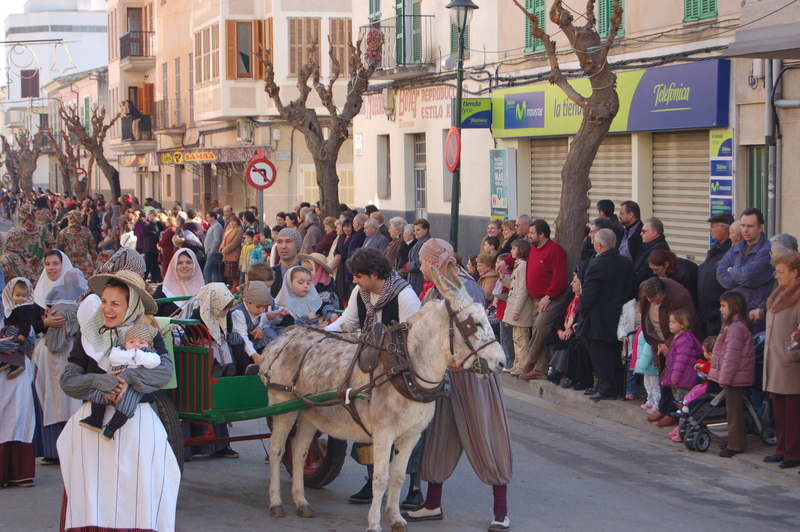 After the blessings, it’s time to go home and recover: January 17th is a public holiday in Manacor. Apart from the public events, there are many Sant Antoni celebrations in small rural communities and we are spending at least part of the evening of the 16th at a farm in our valley, invited by our Mallorcan neighbours to join in their fun. 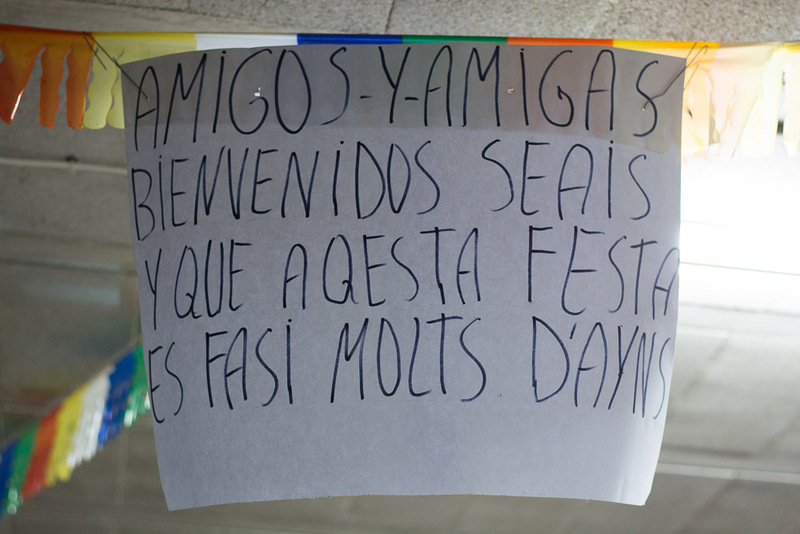 As they say in these parts, molts d’anys. When we started looking at properties for sale in rural Mallorca, we’d already decided that we wanted to be able to reach the coast fairly easily from our future home. Mallorca isn’t a very large island so this wasn’t much of a restriction. From our finca in the Mallorcan countryside we can drive to the coast to the north or east of our home within 25 minutes. One of the several seaside places we enjoy going to is Porto Cristo – Manacor’s port. Porto Cristo is bustling in the summer – and not just with holidaymakers from abroad. Many citizens of Manacor own second homes here in the port and relocate themselves to their seaside homes – only some 11 kilometres away – during July and August. When we first heard about this we were quite amused: people we’ve known in the UK with second homes usually had to travel a long way to reach them – either in the air or on Britain’s clogged-up motorways. Folks here may travel only around 15 minutes to reach their home-from-home. We don’t blame the Manacor folks for moving to the coast. During the two hottest summer months many businesses in Manacor itself close at lunchtime and don’t reopen until the following day. People who relocate to Porto Cristo may have further to travel to work in Manacor but, when the day’s (or half day’s) work is done, they can beetle back to the port for the cooling sea breezes. Porto Cristo is in party mode for the Festes del Carme each July. 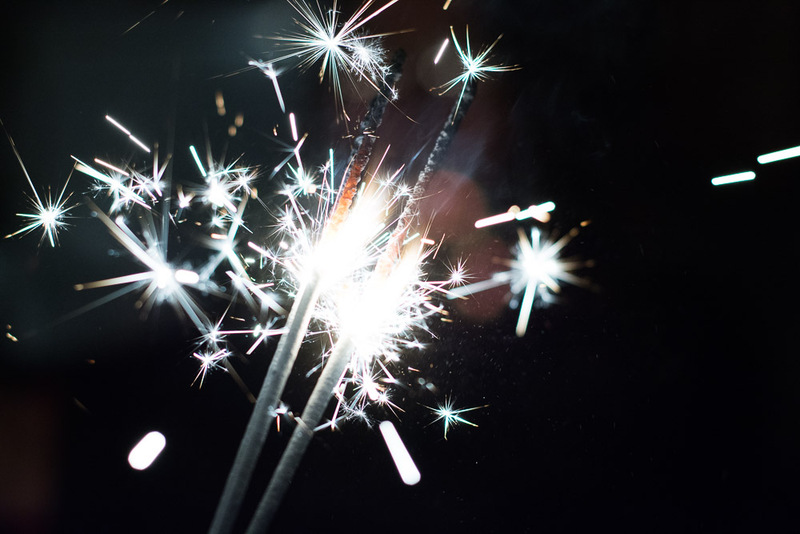 Events during the week include a seafood fair (this year on Monday, 7th) and a late-night weekend firework display that never fails to delight the crowds lining the port. 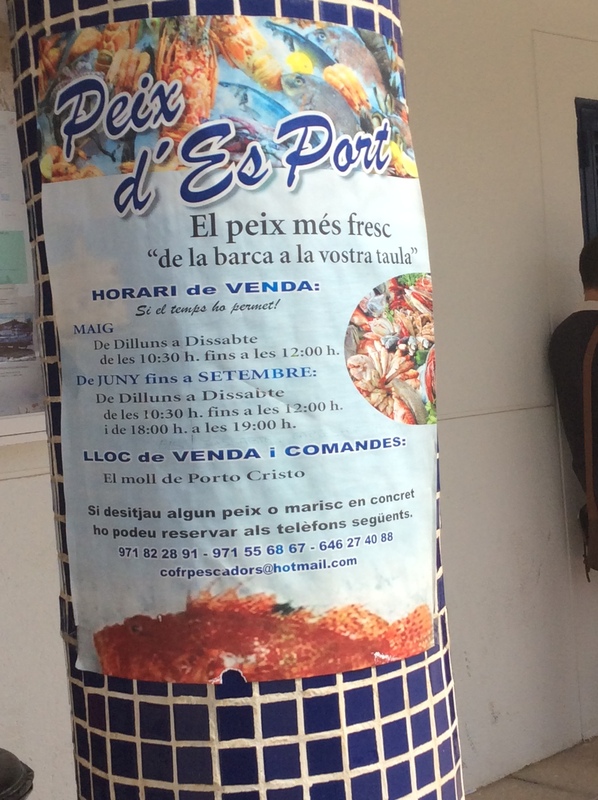 These are two events we – and apparently the entire population of Porto Cristo and Manacor – attend every year. This morning we had an appointment in Porto Cristo. Afterwards, we achieved something we’ve meant to do since we moved to Mallorca: we bought a fish at the small harbour fish market. You only notice the place is there because a few weathered fishermen are usually hanging around outside. The fish market is open six mornings a week and, in summer, for an hour in the early evening. We’d always thought you had to buy fish in bulk here but, no, they are happy to sell individual fish too. Wind and rough seas had limited the catch today, but we chose a good-looking Cap Roig (also known as a Red Scorpion fish). 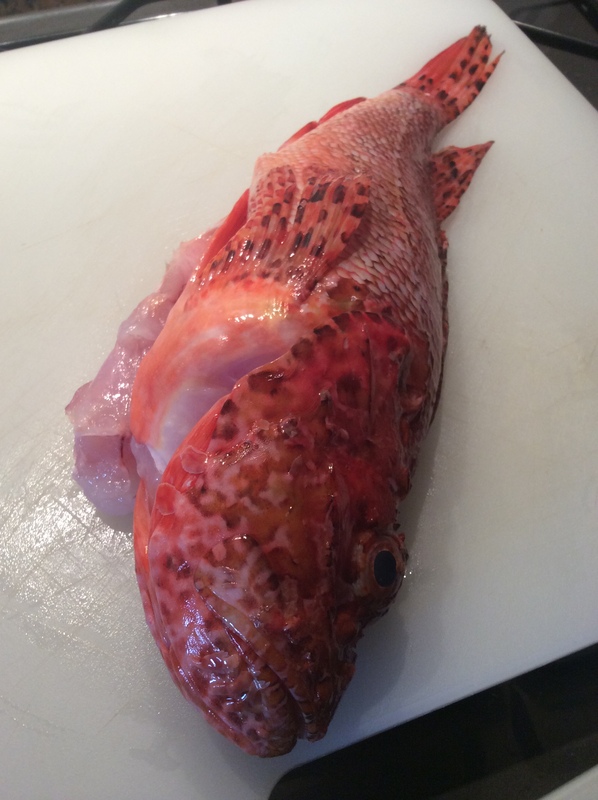 We’ve eaten this fish in restaurants, but never cooked – or cleaned – one. I was pleased that one of the lingering fishermen volunteered to gut it for me. Now all I have to do is cook it this evening . . .
Get your fresh fish here! February can be a cold month on Mallorca, but it can also be one of the most beautiful. 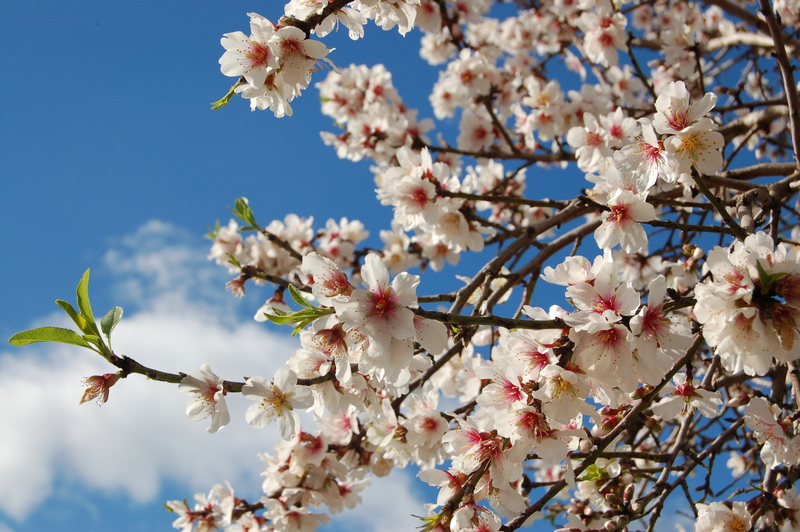 This is the month when Mallorca’s thousands of almond trees burst into blossom (and show a hint of the new green growth that will rapidly follow). Those who know the island as a summer or autumn destination, but have never visited in this particular month are missing one of Mallorca’s most impressive natural events. 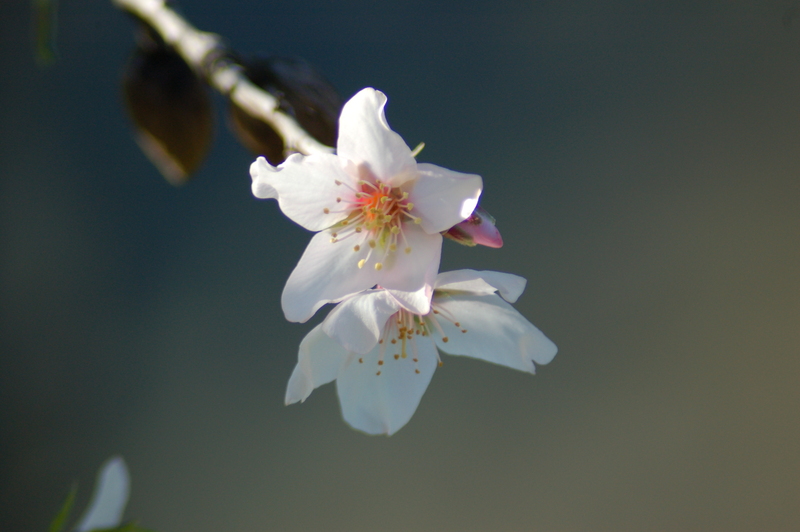 For those who do visit Mallorca at this time of year, a tour of the island’s rural interior offers plenty of photo opportunities and the delicate scent of almond blossom on the breeze (or, sometimes, the howling wind). What could be more lovely on a clear day? Mallorca has fiestas and fairs throughout the year and many of these firas are dedicated to produce from the island – including herbs, olives, sobrassada, honey, melons and, of course, almonds. 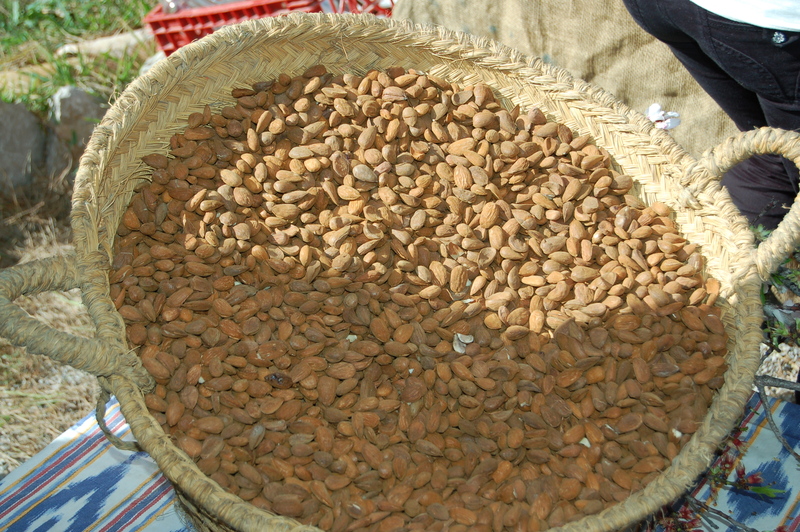 Today was the almond fair in Son Servera and, never having been before, we went this morning. We knew it was taking place in an old finca, and assumed it would be in the countryside outside the small town. Back in 1780, when it was built, it would have been. 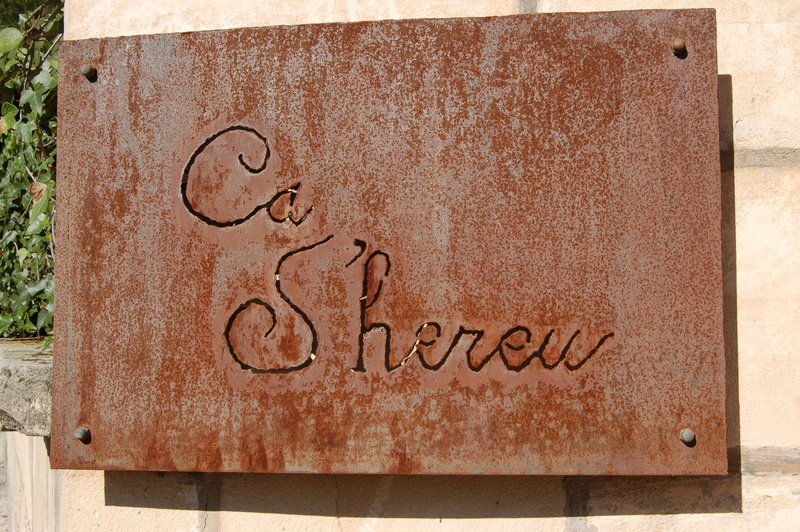 Today Ca s’Hereu has become incorporated into the town itself, with newer buildings around it. But once through the gates, the modern face of Son Servera is soon forgotten. As you’d expect, stalls were selling a variety of products made from almonds, but there were also other foodstuffs available, as well as handicrafts. 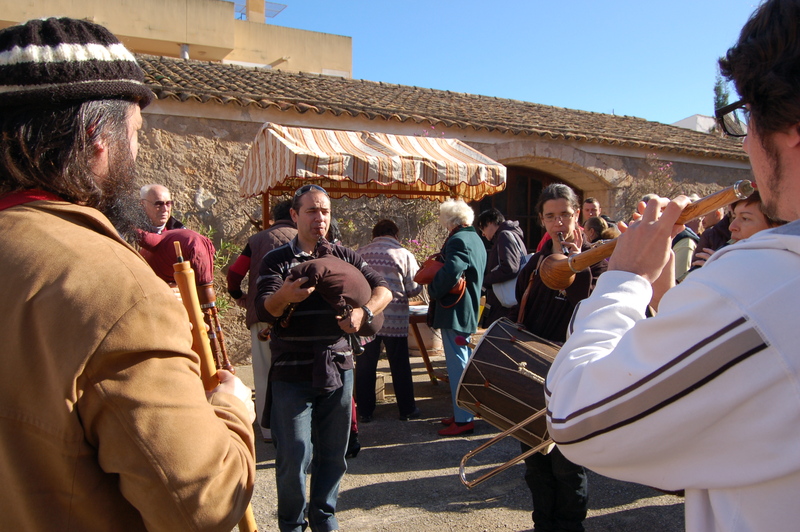 Wandering musicians played traditional Mallorcan music, and the local television cameras were there to capture it all. Perhaps you’ll spot us on IB3 TV news tonight? Just for a change, we weren’t caught on camera eating. We once appeared on the front cover of a couple of local Manacor magazines, gorging ourselves on ice cream at the town’s September fair; we only found out about that when several people we know in Manacor told us about our ‘starring role’. Thankfully, we never did see what sounded like an embarrassing photo. 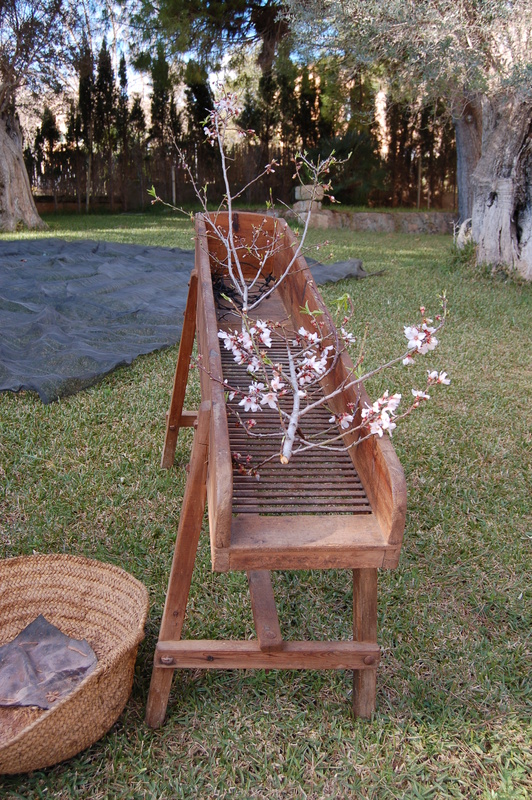 We decided to save our almond-munching until this evening, in the privacy of our own finca. What could be more delicious than a few roasted Mallorcan almonds with a pre-prandial drink? And more evocative of spring than the clouds of almond blossom decorating the island’s many orchards? 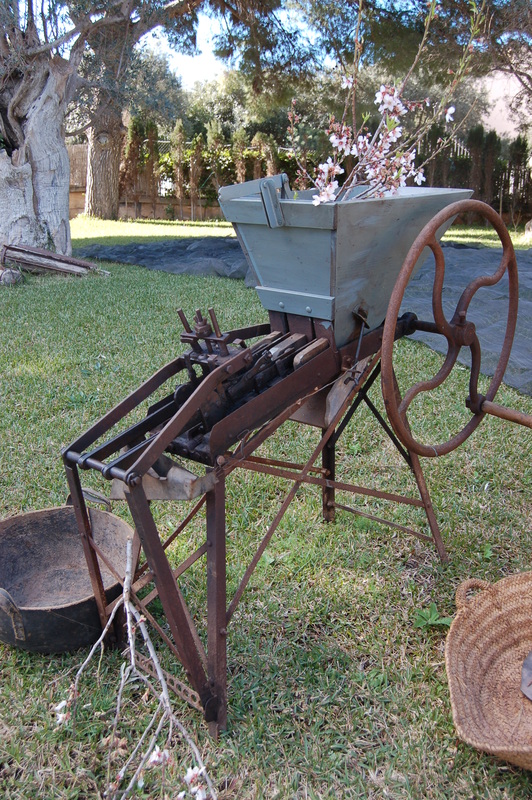 Agricultural implements were on display. One day our own almond trees may be this productive . . .
We don’t make a habit of having people to stay at our finca in rural Mallorca during the winter months, because the weather can be a little unpredictable. But with the new roof having made a big difference to the comfort levels indoors, we were happy to accommodate our best friends from Oxford when they asked if they could come over for a long weekend. At least we knew they wouldn’t have water dripping through the ceiling in their room if it rained . . . They chose a good time to come, because it was carnival this weekend and, in Manacor, this is an event well-supported by the local population. It seems as though most of the locals take to the streets in fancy dress, to parade and party to live bands and wandering percussion groups playing batucada. Undeterred by the bitterly cold wind, we donned our own costumes (dressing as Brits going out for a winter walk) and pitched in with the party people. 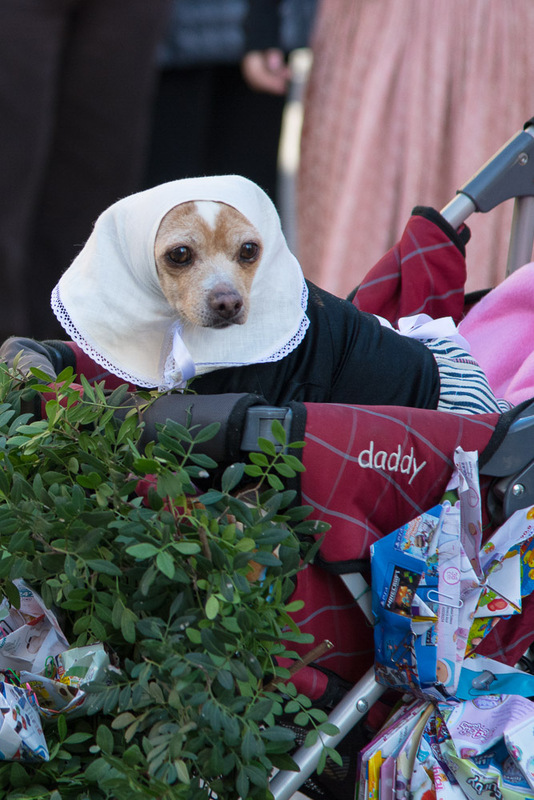 I just love the creativity behind some of the amazing costumes and make-up that we see every year at this event, and worn by everyone from a baby in a pushchair to a sprightly octagenarian. But it’s not just the people who were dressed up over the weekend. 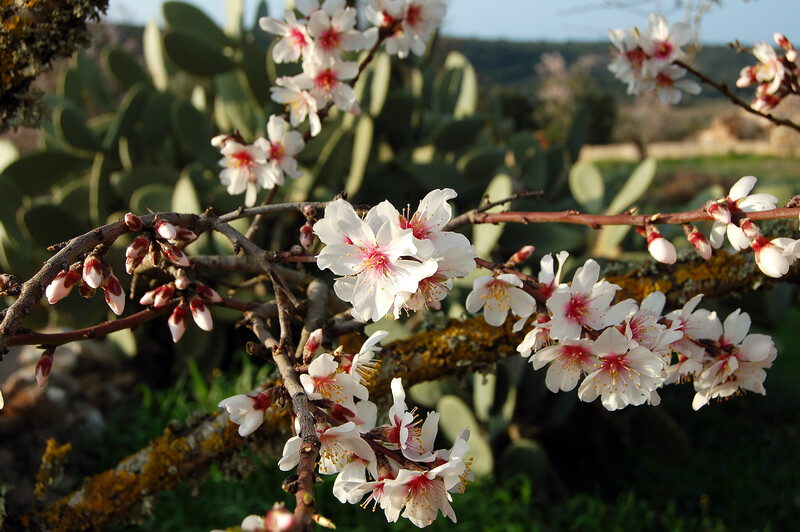 Mallorca’s almond trees are currently at their height of loveliness, swathed in the beautiful blossom which attracts visitors to the island at this time of the year. When a gust of wind blows, petals flutter like snow to the ground. And sometimes, there’s even a little real snow . . . If, like our friends Duncan and Kristina, you’re not too worried about what the weather might do, these winter months can be a very special time to visit Mallorca. “So, what do you think of it so far, Rover? We’ve just come to the end of one of the most important weeks in the calendar of Manacor, our nearest town, in the east of Mallorca. 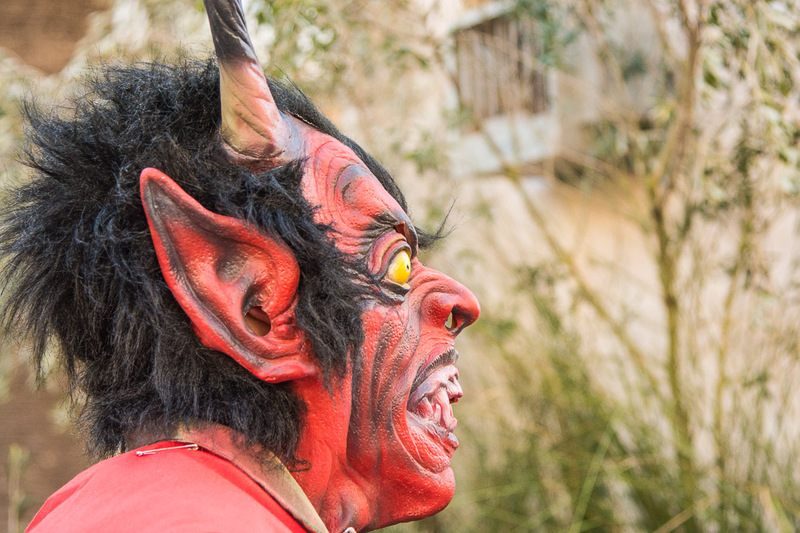 Sant Antoni is the town’s patron saint, so it’s not surprising that the locals take the celebrations around this date rather seriously. Locally, it’s known as the Gran Semana – the big week. Shops, businesses, and schools were closed on both Wednesday and Thursday, although supermarkets opened just for the morning on Wednesday, and our bank closed early every day of this past week. 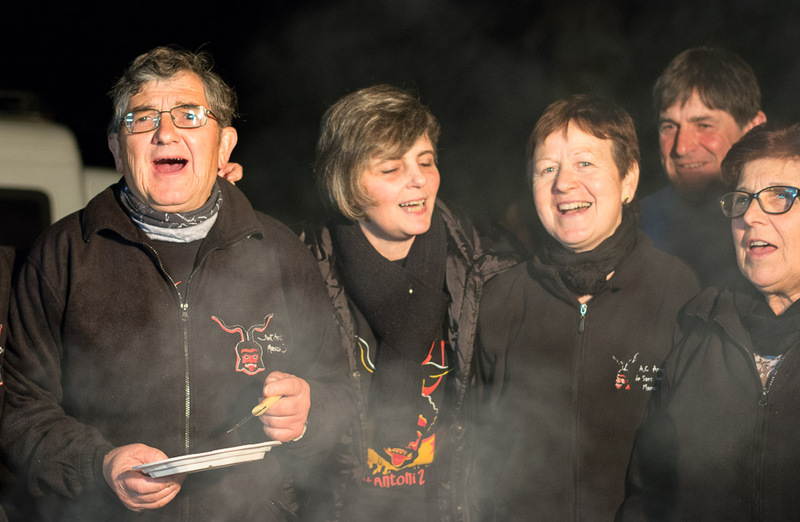 Almost everyone seemed to have bought themselves a sweatshirt or fleece emblazoned with this year’s Sant Antoni fiestas emblem and, costing around 16 euros a garment, they seemed a reasonably priced way to enter into the spirit of the event and keep warm. And keeping warm has been necessary. The weather’s turned chilly and damp on Mallorca but, as we’ve seen on many occasions, the Mallorcans are rarely deterred by unpleasant weather conditions when there’s a party beckoning. We, however, wimped out and watched most of the celebrations on the local TV channel IB3, sitting in front of the log burner. 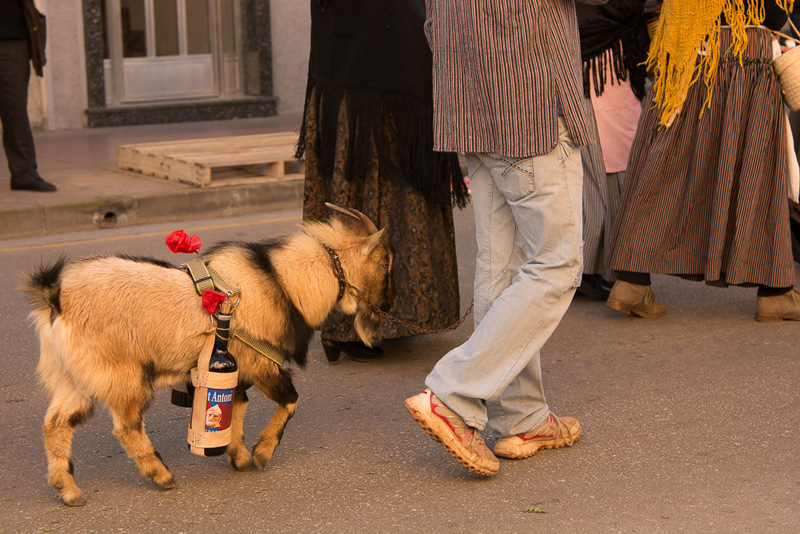 I was sorry to miss this year’s slow-moving parade of animals and imaginatively decorated floats around Manacor’s streets, on Thursday morning. 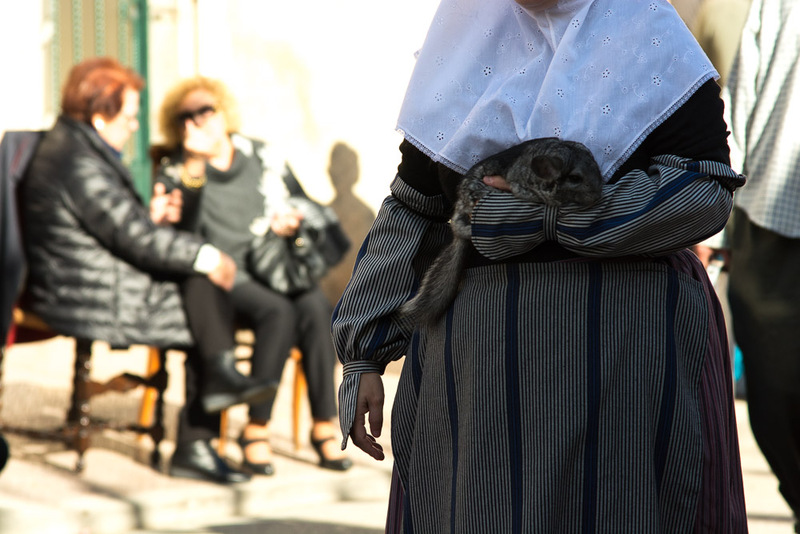 On the morning of the saint’s day, animals of every sort – farm and domestic – are taken to be blessed by the local priest. Attending previous animal blessings, I’ve considered taking Minstral, our Birman cat, but I suspect he’d be thoroughly miffed to have been removed from his favourite chair to mingle with animals the like of which he’s never seen. And, of course, we couldn’t take Minstral and leave behind the other eight cats that now call our finca home. I wonder if the local priest does house calls for animal blessings . . .